Sinanbituwon. 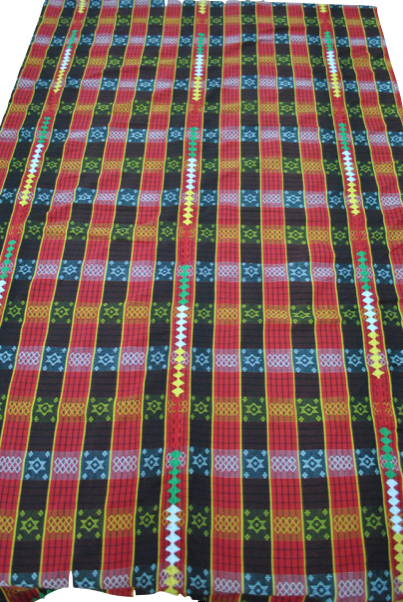 This is a funeral blanket intended for the most affluent in northern and southern Kalinga. Its dominant motif is a star or bituwon. It is a belief that a star serves as a guide for the deceased as he journeys into the afterlife. Reflection axes meet at the center of a bituwon, and at the center of a diamond as shown. There are 180o rotational symmetries about these centers. 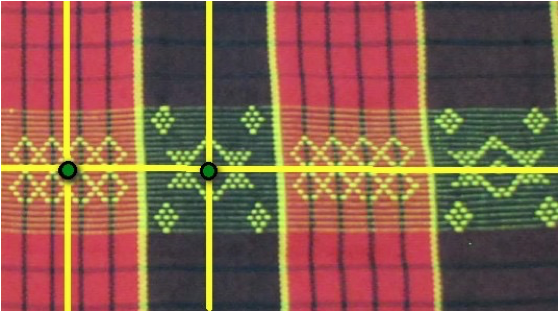 The plane crystallographic pattern in a panel of the sinanbituwon blanket shown has symmetry group p2mm.